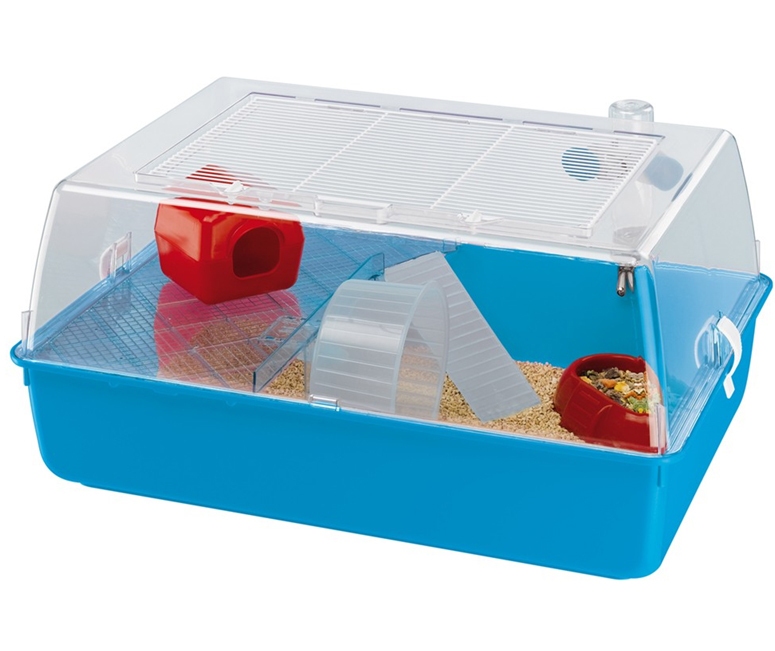 The Mini Duna Hamster Cage from Ferplast provides an excellent home for your little critter. MAde from sturdy plastic, it has a transparent, removable roof which makes it easy to clean while also having a mesh which lets air circulate around inside. Inside it has a transparent shelf so you can always see your pet wherever they are, along with a little house, plastic feeding bowl, drinking bottle with suction pad, a fun wheel and a ladder. All you need to get your little hamster enjoying themselves. Please Note: The picture is just for illustration purposes. Cage, base and accessory colours are randomly allocated. There are currently no questions for Ferplast Mini Duna Hamster Cage - be the first to ask one!